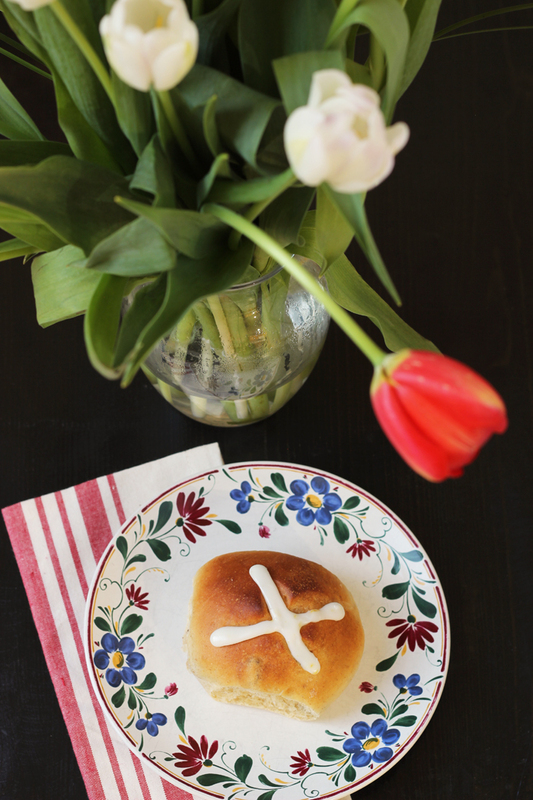 Celebrate Easter weekend with these delicious Hot Cross Buns. They’ve got all the bright flavors of California, lemon and two colors of raisins. While I’ve been to London before, and I’ve got my tickets to England booked for the spring, I’ve never eaten an authentic hot cross bun. Or a scone. Or a Yorkshire pudding. But, I plan to remedy all that soon. What I’ve lacked in actual, authentic experience, I’ve made up for in my love of British Literature. I’ve devoured books by J.R.R. Tolkein, C.S. Lewis, P.G. Wodehouse, J.K. Rowling, and a host of other Brits with initials for first names. Maybe I should start going by the pen name, J.G. Fisher. That sounds so fancy, don’t it? 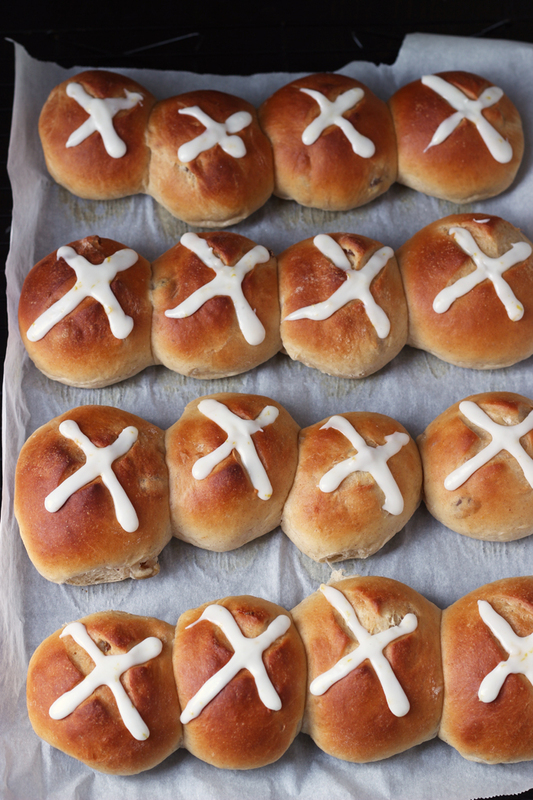 So, while I’ve not had a “real” hot cross bun, I’ve read about them. That should count for something. And since I love a good mashup of cultures, I set out to create a hot cross bun that reflected my home state of California. Perhaps someone will say that this recipe is too American, “too many flavors mixed up together.” Perhaps…. But, they’re still good. I figured since I didn’t know what a true hot cross bun tasted like, I could embellish it with two truly California ingredients: lemon and raisins, and pretend that this roll knows it’s not a true hot cross bun. There is a big difference between raisins, sultanas, California raisins, and currants, but California raisins won out, of course, because they are oh-so Californian. And way easier to find where I live. So you can sing the song while you bake these, and pretend that you know what you’re doing. It’s okay. I won’t tell on ya. Stock up on ingredients when they are on sale. When I find regular kitchen staples on sale, I buy a lot. I’m currently using a price book to track prices and that’s saving me money. For this recipe, keeping an eye on the price of flour, raisins, and butter can help keep the price down. Buying in bulk – It’s rare that I would buy a small package of raisins. I usually buy bulk packs wherever I go. I also have gotten into the habit of buying cases of flour from Bob’s Red Mill. 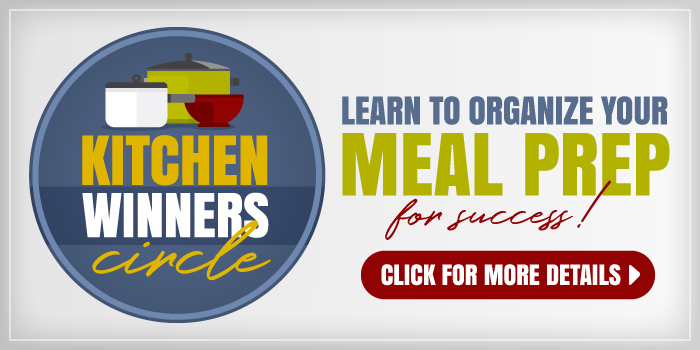 bread machine or stand mixer – These machines make dough mixing SO much easier! 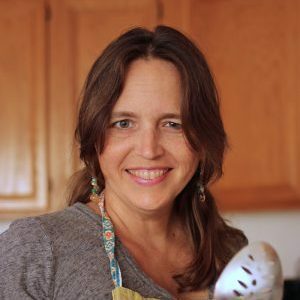 In the bowl of a stand mixer, combine the milk, butter, granulated sugar, and yeast. Allow this mixture to sit for five minutes while the yeast proofs. Add in the eggs, flours, the lemon zest from ONE lemon, salt, cinnamon, nutmeg, ginger, and raisins. Stir with the dough hook until the dough comes together. Increase the speed to knead and knead the dough until a dough ball forms around the hook. The dough will still be sticky. Place the dough in a greased bowl and allow to rise until doubled in bulk, about an hour. Alternatively, combine all dough ingredients in the pan of your bread machine according to the manufacturer’s directions. Set on the dough cycle and start the machine. When the dough is ready, transfer it to a lightly floured surface. Divide the dough into 16 equal parts. Form each dough piece into a tight round and place them on the prepared baking sheet. Cover loosely with a tea towel and allow to rise for 60 minutes or until doubled in size. Preheat the oven to 350 degrees. Cut a cross into the top of each roll and bake the rolls for 20 minutes or until lightly browned. Cool the rolls on a wire rack. In a small mixing bowl, combine the powdered sugar and enough lemon juice to make a thick icing. Stir in the zest from the remaining lemon. Spoon or pipe the icing into the crosses of each cooled bun. Allow the icing to set and serve. If you added in candied lemon peel (or candied citron or candied orange peel) it would be just a trifle more authentic. 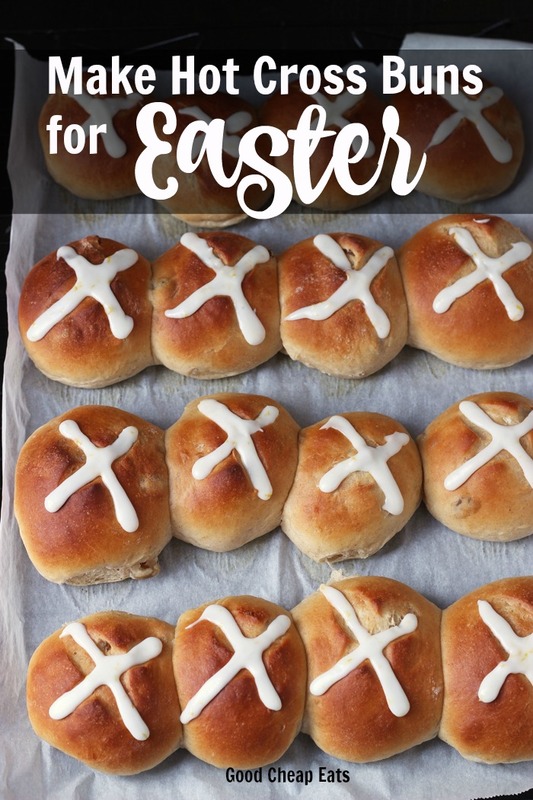 You can also make the cross on the top with strips of dough. Also, a sugar/water wash before baking helps them to be golden brown while still moist on top. 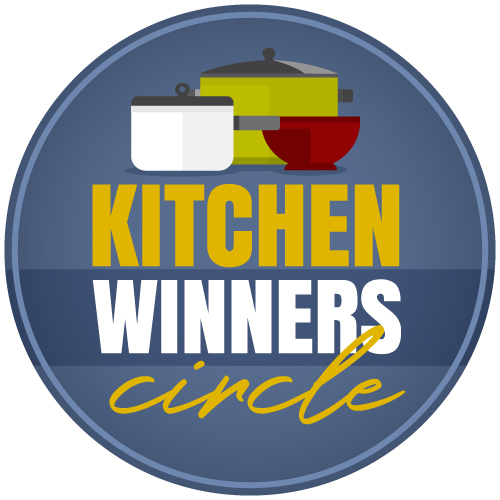 @alicia huntley, thank you for great suggestions! mmmmmm those look good! I have never made (or had) Hot Cross Buns before. I think I need to do something about that! If you add currants you have three kinds of raisins to represent the Trinity and they are all in one bun because there is only one God…. Every year I plan to make these but never have. Maybe this will be the year! I learned a couple of extra lines in that nursery rhyme: “If you have no daughters/ Give them to your sons./ But if you have none of these little elves,/ Then you must eat them all yourselves!” The recipe sounds like I’d want to do just that! 🙂 Thanks! I learned that song when I was young and taught it too my children. Your post brought back happy memories for me….thank you. 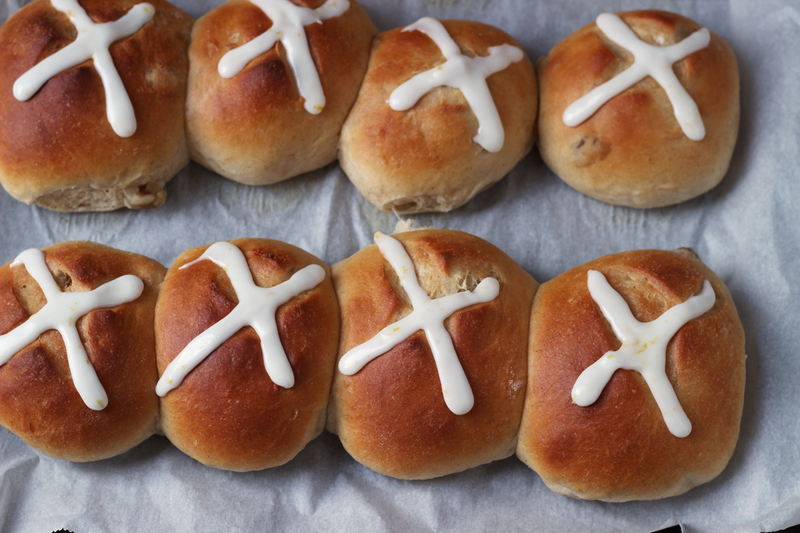 Making these for Easter again this year because they were so good last year.